As we go to press, the ACLU's lawsuit has begun against the city of Memphis for allegedly breaking a 1978 consent decree forbidding it to engage in "political intelligence" against local activists. Scratch "allegedly." The presiding jurist, U.S. District Judge Jon McCalla, has already declared the city to be in violation of the decree, but has allowed the lawsuit to go forward to determine the legal standing of the ACLU as a plaintiff organization, to assess the need for sanctions, and presumably for other undisclosed reasons. Surely one of those reasons is the simple one, of exposure — notaby, of the undercover methods used by the Memphis Police Department, especially of its disingenuously named "homeland security" unit. Except for the president and his diehard base, most Americans are at least somewhat familiar with the now-verified activities of Russian hackers and provocateurs during the presidential campaign of 2016, and of their unscrupulous exploitation of social media platforms such as Facebook and Twitter to misdirect and agitate and stir up controversy — as well as simply to confuse and entrap people involved in perfectly legal political activity. 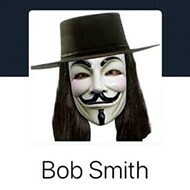 Well, Guccifer 2.0 and his Russian comrades had nothing on ol' "Bob Smith" of Memphis, who until just a month or so ago, when, pre-trial, he packed up his social media accounts, could disorient and dissemble with the best of them online. As ACLU lawyer Mandy Strickland Floyd revealed with her patient questioning of Smith (or the man who pretended to be Smith, Sgt. Timothy Reynolds of the MPD), he not only dabbled in the black arts of online spy-craft, he did so often by pretending to be a "person of color," sympathetic with the declared aims of whatever left-of-center activist group he was targeting. Or right-of-center, to be fair. Beginning his career as a law-enforcement troll in 2008, "Smith" was an equal-opportunity deceiver. He could, if circumstances seemed to warrant it, ingratiate himself by insinuating sympathy for the desecrated fame of Nathan Bedford Forrest in an early stage of the local statue controversy, morphing into an advocate for statue removal as he Facebook-friended Take 'Em Down activists like Paul Garner and newly elected County Commissioner Tami Sawyer and followed the likes of Thaddeus Matthews, or by posing as a Bernie man as he heaped abuse in late 2015 on "Killary," or by complaining in a public post about the cost of entitlements as he nosed under the tent of Tea Partiers. 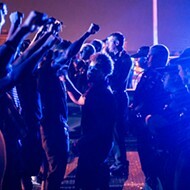 Reynolds and his cohorts in and out of law enforcement conducted ample surveillance as well, infiltrating and otherwise keeping tabs on activist groups of all kinds — from Save the Greensward to a North Memphis Voter Registration meeting to anything connected with Black Lives Matter. The time of the bridge seizure in mid-July 2016 was a busy time for the homeland security unit and other MPD adjuncts, all of whom saw a threat necessitating keeping close watch over bodies of people, whether large or small, whether meeting in public or on private property. Judge McCalla will have to decide the proper adjudication for all this official vigilance. We don't envy him, but routine police surveillance of law-abiding civil activists is a bridge that shouldn't be crossed.